A U.S. naval flight officer with an extensive signals intelligence background was accused by the service of passing secrets to China, USNI News has learned. Lt. Cmdr. 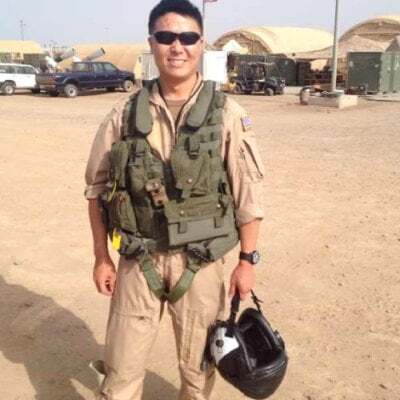 Edward C. Lin, 39, who served on some of the Navy’s most sensitive intelligence gathering aircraft, faces several counts of espionage and other charges outlined during a Friday Article 32 hearing in Norfolk, Va.
Lin, originally a Taiwanese national before his family moved to the U.S., had a career as a signals intelligence specialist on the Navy’s Lockheed Martin EP-3E Aries II reconnaissance aircraft, several sources confirmed to USNI News. Several sources familiar with the case told USNI News the country to which Lin passed secrets was China, however, few other details are known about the case given much of the evidence is classified. The redacted charging documents say Lin allegedly transported secret information out of the country without permission and then lied about his whereabouts when he returned to duty. The charging documents allege he successfully committed espionage twice and attempted espionage on three other occasions. In addition to the accusations related to transmitting secrets to a foreign power, Lin was also accused of violating military law by patronizing prostitutes and committing adultery. 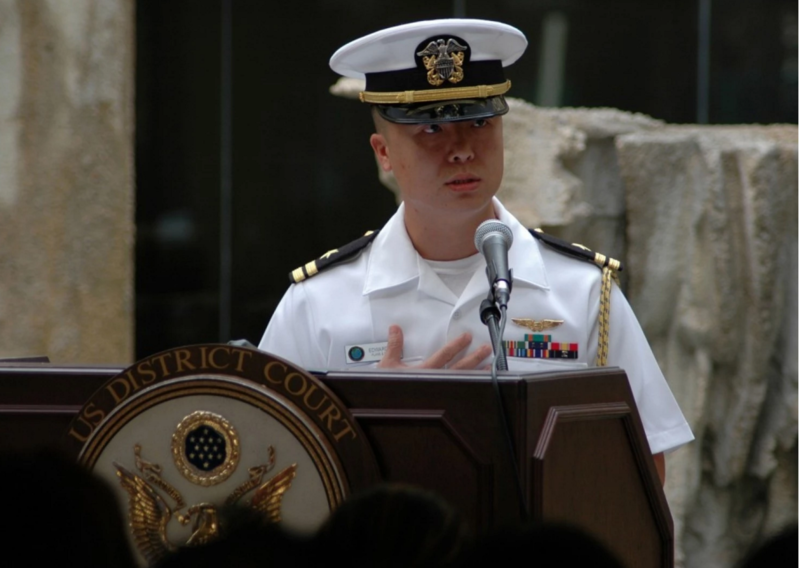 Lin is currently assigned to commander, Patrol and Reconnaissance Group in Norfolk and has been held in pre-trial confinement at the Naval Consolidated Brig Chesapeake, Va. for the last eight months, sources told USNI News. He speaks fluent Mandarin and had been a department head for the Hawaii-based Special Projects Patrol Squadron Two ‘Wizards’ (VPU-2) that flew signals intelligence aircraft based on variants of the EP3-E Aries II signals intelligence aircraft, two sources confirmed to USNI News. Lin’s job on the Aries II, which bear a resemblance to the maritime surveillance and anti-submarine warfare P-3C Orion, was to manage the collection of electronic signals from the aircraft – a sensor coordinator. The specifics of how the U.S. gathers signals from potential adversaries are among the military’s most closely guarded secrets. Knowing the methodology for how the U.S. gathers signals intelligence – information that Lin would likely have with his Aries II experience – could allow adversaries to devise ways to counter U.S. monitoring. In addition his time on EP-3Es, Lin served from 2012 to 2014 as the Congressional Liaison for the Assistant Secretary of Navy for Finance Management and Comptroller. The last major incident of espionage by an active duty member of the Navy was the case of John Walker – a Navy warrant officer and submariner who for 18 years passed reams of military secrets to the Soviet Union before he was finally caught in 1985.